The tasting began in 2001 as the Frankland Estate International Riesling Tasting, a biennial celebration of the quality and diversity of the world’s greatest riesling wines comprising tastings, workshops and master classes. In 2009 it became a triennial event enabling it to be integrated into an international rotation involving similar events in Germany and the USA. Renamed Riesling Downunder in 2015, the tasting retained the strong international focus and celebratory spirit of previous events but encouraged more consumer participation. 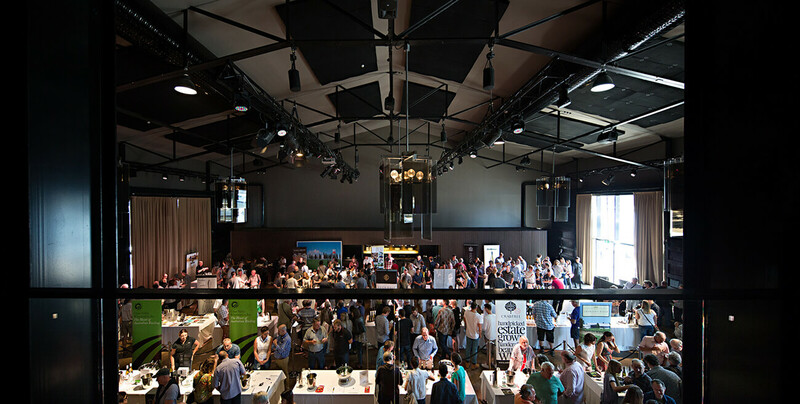 This was reflected by attracting over 500 riesling enthusiasts to a Sunday afternoon tasting featuring gourmet food and the wines of 40 different winemakers at Central Pier in Docklands in February 2015. Tom Barry of Jim Barry Wines said the Riesling Downunder sponsors recognised riesling needed to be more widely promoted to wine drinkers and, in particular, to younger demographics. “We aim to create more opportunities for winemakers to engage with wine drinkers and share their enthusiasm for the unique qualities and magical powers of riesling”. “Riesling is the most transparent of grape varieties, it translates the soils and character of place better than any other variety”.